Robert Thorne has been a professional musician for over 25 years and has played lead guitar for some of Australia’s premier blues artists: Matt Taylor (Chain); Harper (USA & Oz Tour 2000); Blues Bus (Perth)…to name a few. The Practical and the theoretical meet as Robert is also an accredited teacher (MMTA) and holds a Bachelor of Music Degree (A.I.C.M). Robert specialises in contemporary Rock, Blues and Slide guitar accommodating all ages and levels and also offers a home visiting service. Electric Guitar. Acoustic. Slide Guitar. Bass. Theory. Blake Noonan has been playing guitar for 10 years and has a great passion for the instrument. Although only 23 years old he holds a Bachelor of Music ( Contemporary Performance) Degree ( AIM ) Sydney. He has played guitar and bass in bands around the pubs and clubs of Sydney since he was old enough to legally get in and maybe a while before that! 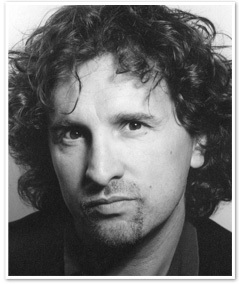 Blake has also experienced playing guitar in Musical theatre- Blacktown Theatre Company's successful 2014 production of 'Godspell". 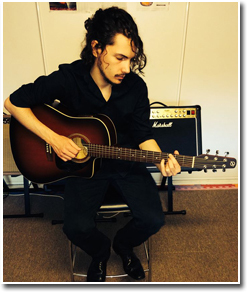 Blake has been teaching with Sydney Guitar Tuition ever since gaining his degree and is very popular with the younger students- his ability to connect is commendable. And of course, like all SGT teachers he has a current " Working With Children" certificate. Jerry Salvador is a Sydney based Guitarist, Singer, Songwriter, Performer. He has been a professional musician for over 35 years and has performed as a solo artist and in bands both nationally and internationally throughout his professional career. 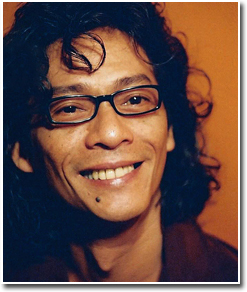 He has been the recipient of numerous awards for recognition and appreciation in promoting Filipino music in the community. His extensive experience in tutoring, studio and live performances can be seen in his professionalism and passion when dealing with his clients. Jerry completed his studies and received his Bachelor Of Music Degree in Sydney at the Australian International Conservatorium of Music. His focus was on guitar, song-writing and performance which he received high distinctions for. Jerry holds a current Working With Children Clearance Certificate.